The Hindu pantheon as well as Christian deities make their ire known in her lines through multiple patriarchal failures enacted upon women. 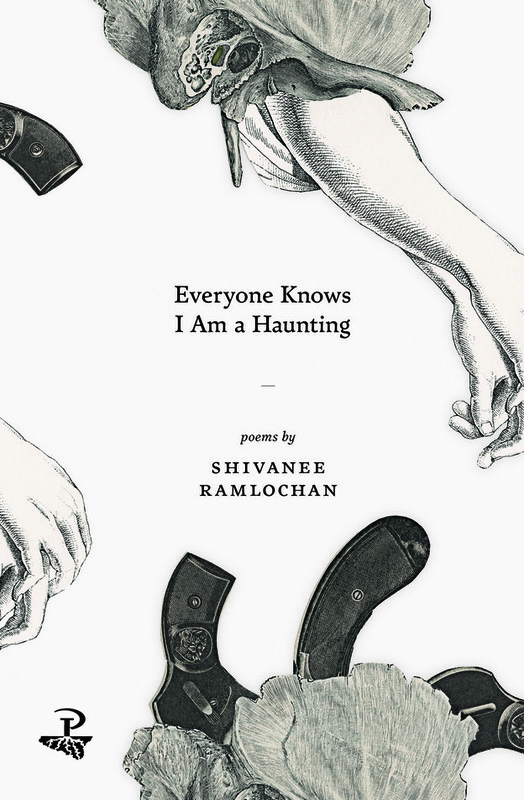 And in these poems the speaker is haunted by sexual violences and the colonial imposition of gender identities, which Shivanee Ramlochan works into a process of transcreation from the fragmented archive she inherits. The poet’s hauntings hang at the intersections of patriarchy, queerness, violence against women, colonial narratives, and a reclamation of voice. The ghosts: indenture, language attrition, loss of religious identities, and homophobia. — If you must fry for a man, do it dancing on his skull (11). The amniotic is also the killing water. The self births and ends the self. There is no “child” as such that bears a future — that is, the child is not the affective repository of what’s to come. Rather it is the speaker who creates herself with remembering, listing, and transforming the forgotten and neglected gods. For the poet, hauntings from a history of indenture undergird the usages of not only postcolonial gender identity but also that of language. In “The Virgin Speaks of What She Endured,” along with the patriarchal constraints on women, or those perceived as women, there is a linguistic haunting that plagues the speaker wherein the realization of self comes through the renaming of self in reclaimed language. Come, burst me into song. This move brings the speaker into the reader’s present, another kind of incarnation. What lives again is transformed in and by the mystery of reincarnation. The poet, inspired by Hinduism, shows the potential for transformation. Here, the hauntings are more than spectral, but the very much alive attitude that dehumanizes the queer brown woman into the base, the animal. For the speaker, there is joy in this ability to walk different spheres — the haunting of dehumanization in colonial histories she pairs with Jouvay celebrations. There is a velocity to the speaker’s voice. Addressing directly the need for queerness in celebrations, orthodox and in public spheres, the word “festival” becomes a hinge. It causes the reader to return to the very beginning of the book and to look again at all the Hindu images of Divali, Holi, and other holidays and read the queerness into the “festivals.” The voice continues to trace the queer images throughout the festivals of Phagwa, Samhain, and Hanukkah. In this retrospectatorship, the book at its last possible moment explodes with new possibilities for the reader, another type of reincarnation, another type of haunting, another moment of queerness on the horizon.